Medinail Learning Center Welcomes Vicki Peters to its Advisory Board. 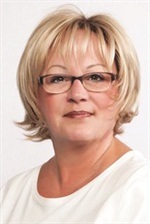 Medinail Learning Center (MLC) recently welcomed nail tech Vicki Peters to its Advisory Board. MLC offers online programs to train nail technicians to work safely with both well and chronically ill clients. “We are greatly privileged to have Vicki Peters on our Advisory Board. Her infinite knowledge of the industry will provide guidance we need and want in our future growth,” says Robert Spalding, DPM, MLC co-owner and founder. As an industry leader and master nail technician, Peters has mentored thousands. “We need good quality education for our professionals and I am excited to be involved with Medinails, a company committed to upgrading our industry,” she says.